Ellie's Dairy - The Finest Goat Milk, from Kent: Spin spin spin ..
And there I spent the rest of the day in the delightful company of Sue and Rosemary learning to spin. Weren't expecting that were you?! 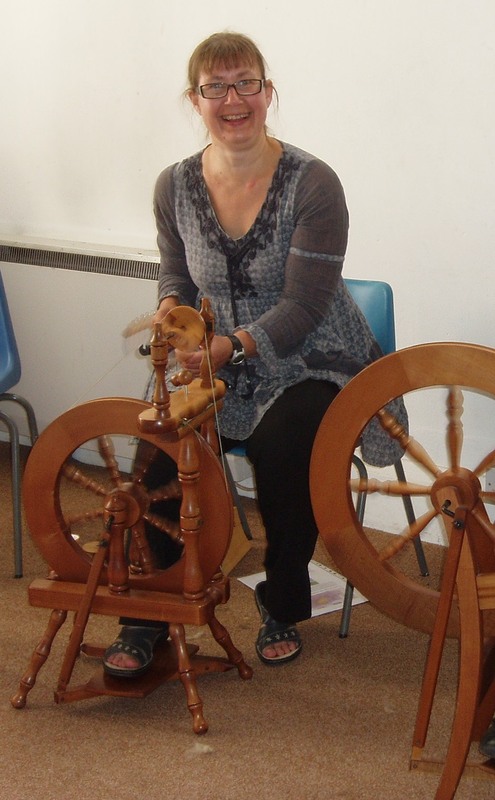 Our teacher was Della Newman who is a very talented local craftswoman from Wye, who specialises in using natural fibres for all her work. A quick lunch and then we were off! And let me tell you - spinning is no easy thing to master. It is difficult enough just to get the wheel spinning in the right direction and at a constant speed. Then you have to tease out the fleece and keep feeding it through so that you get a nice even yarn. Bit like trying to pat your head, rub your stomach and stand on one leg all at the same time. I struggled for ages. Kept breaking the yarn, twisting it up, treadling the wheel in the wrong direction ... But Della was very patient and eventually I was on a roll!! It was an extremely enjoyable day and spinning is very addictive. 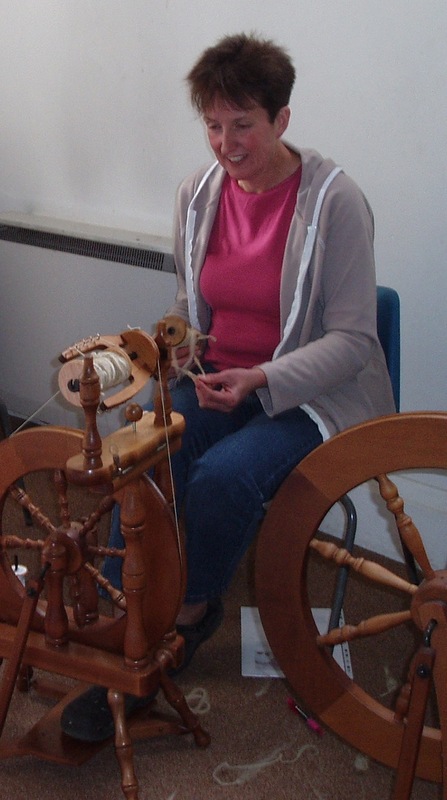 The rhythm of the wheel and the feel of the wool is just so relaxing. Wonderful stuff! And finally, does this look like a smug, satisfied cat?